Shilpa Shetty Kundra promotes a healthy lifestyle and often shares her opinion on dietary choices and the importance of physical activity in an individual's life. Shilpa Shetty Kundra leaves no stone unturned when it comes to fitness. Popular Bollywood celebrity and a fitness enthusiast Shilpa Shetty Kundra leaves no stone unturned when it comes to fitness. Super fit and toned body, slim waistline and constant glow on her face is all because of healthy eating and regular physical exercise. This is evident from her various posts shared on social media. The actress is an avid practitioner of yoga. She keeps on trying difficult and challenging yoga poses and continues to inspire her fans. Shilpa Shetty Kundra promotes a healthy lifestyle and often shares her opinion on dietary choices and the importance of physical activity in an individual's life. 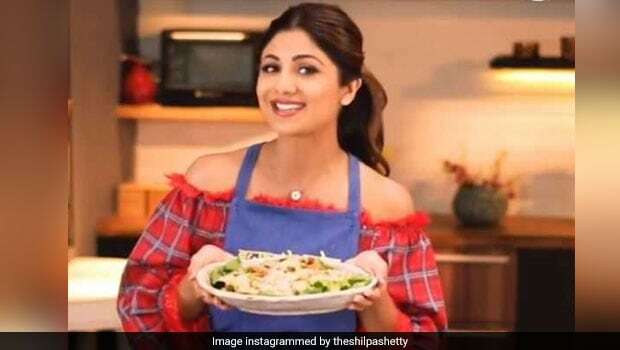 In her recent Instagram post Shilpa Shetty said, "Create healthy habits, not restrictions. You cannot control everything that goes on in your life, but you can surely control what, how, when and how much you are eating. So here it is, listing down 10 tips for you to keep a check on your habits that will help you in your mindful eating voyage to good health." Even while you are travelling you need to take care of your health. Instead of going for chips, chocolates, cookies, candies or other packaged items, you should opt for healthy nuts and seeds. These include almonds, cashews, walnuts, flax seeds, sesame seeds or chia seeds. You can even make a healthy granola or a protein bar at home. One should avoid watching television while eating their meals. Eating meals while watching TV is closely related to digestive health. As one is unable to process how much is being eaten, in turn not being able to properly digesting the amount or kind of food being eaten. It is always better to eat small meals after two or three hours. Rather than eating two to three heavy meals. Also one should focus on well-balanced nourishing meals. Gratitude is defined as appreciation. Eating food with gratitude can improve your physical and mental health. Chewing your food slowly will help in proper digestion. Moreover, chewing your food quickly will allow large particles of food to enter your stomach and intestines and cause digestive problems. Chewing food slowly and properly will help absorb more nutrients from the food, maintain a healthy weight, aids in digestion and leads to fewer digestive issues like gas and bloating. You should always read the nutritional labels before buying packaged items. The nutrition information will help you know what goes in your body. By giving a look at the nutritional labels you will know the amount of sodium, calories, cholesterol, trans fats, saturated fats and sugar the product contains. Further, it will help you buy a healthy product from the next time. One must pay attention to your breathing patterns. Breathing can help reduce stress levels, lower your heart rate, lower your blood pressure and helps calm your body. Drinking water after the meals can help body absorb the nutrients. It will also be beneficial for digestion. On the other hand, drinking water right before the meals will keep you satiated and can prevent you from overeating in the next meal. There are times when we crave from comfort food or junk food. We often tend to eat while watching a movie, working or while we are out. This should be avoided. 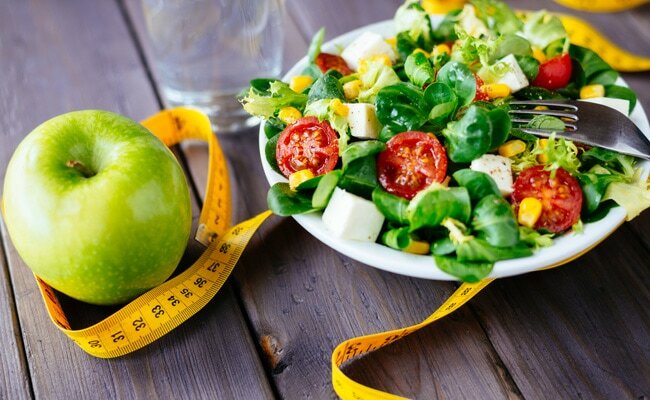 Eating when you are not hungry can have a negative impact on your health. Keeping healthy and nutrient-rich foods in your kitchen will automatically help you eat healthy and benefit your health. Foods like legumes, fruits, vegetables, eggs, dairy products, nuts and seeds and whole grains should always be included in your diet. Also, try removing canned and processed foods, chips, chocolates and other refined foods from your kitchen.